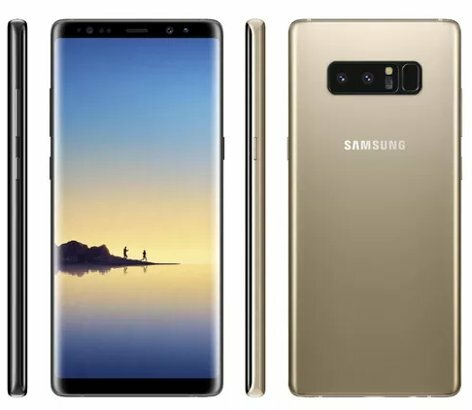 Additional information about SAMSUNG GALAXY NOTE 8 to consider before buy this phone. At this article we will try to give more advantages and disadvantages from our point of view. This phone have 6.3 inches LCD screen size with 18,5:9 aspect ration screen, with infinity display type. Some users maybe do not like to have bigger screen smartphone but some users need to watch movie and playing games with bigger screen, then this phone can become right option to choose. What is Advantages and Disadvantages of SAMSUNG GALAXY NOTE 8 ? Advantages of SAMSUNG GALAXY NOTE 8 use 6.3 inches LCD screen with infinity display and Super AMOLED type. This phone will give better color view and wider screen with 18.5:9 aspect ratio and qHD resolutions. But the disadvantages of 18.5:9 aspect ratio is applications compatibility, some apps can not show full screen at SAMSUNG GALAXY NOTE 8. Goodness of SAMSUNG GALAXY NOTE 8 is sensitive S-Pen to write almost anything inside this phablet note. The S-Pen located at the bottom of the body. There are several applications inside SAMSUNG GALAXY NOTE 8 which can do some job with this S-Pen such as taking writing note, photo editor and some other more. Advantages of SAMSUNG GALAXY NOTE 8 Fast Charging capabilities. This phone can charge faster because it have Quick Charge technologies version 2.0 and also at several product type, we can have wireless charging. All charging technologies will charge 3300 mAh battery capacity. This is other drawback of SAMSUNG GALAXY NOTE 8 because this phone only have 3300 mAh battery capacity, maybe Samsung need to make the weight become lighter. However, Quick Charge will help users to charge faster when this small battery empty. Advantages of SAMSUNG GALAXY NOTE 8 is water resistance. This phone have IP68 certified which can make this phone splashed in water about 30 minutes at 1.5 meters without get any problems. Almost all high end smartphone have this features to make users can work at any situation. Advantages of SAMSUNG GALAXY NOTE 8 camera because it have dual main camera at back side with dual optical OIS to reduce handshake when taking pictures and also have 2x optical zoom to make interesting object become more closer. The dual camera work for tele and wide angle, so we can get bokeh effect when combine both lens work together. First Tele camera work at 12 megapixel with f/2.4 aperture number and the other wide angle camera work at 12 megapixel with f/1.7 aperture number. The camera can also record video maximum 4K resolution at 30 fps. If we need more fps then using 1080p Full HD can record at 30fps or 60fps. This article is talking about note 8 s pen disadvantage, samsung galaxy note 8 advantages and disadvantages, Samsung note 8 drawbacks. You can find other topic at our related post bellow. I’m using Samsung note 8 mobile feature are good. But main disadvantage is ADS. So many ads while I’m using YouTube,FB,watsap etc…. These crazy ads making irritation and I’m really unhappy. I used different kind of mobile’s even Samsung also but I never see such a bulshit ads in note 8.